Greetings. Please, get a sweater. Our winter isn’t over yet. I wanted to share images, thoughts, and even some video, from my 2014 Winter odyssey towards Buffalo, NY and the environments of the Great Lakes. 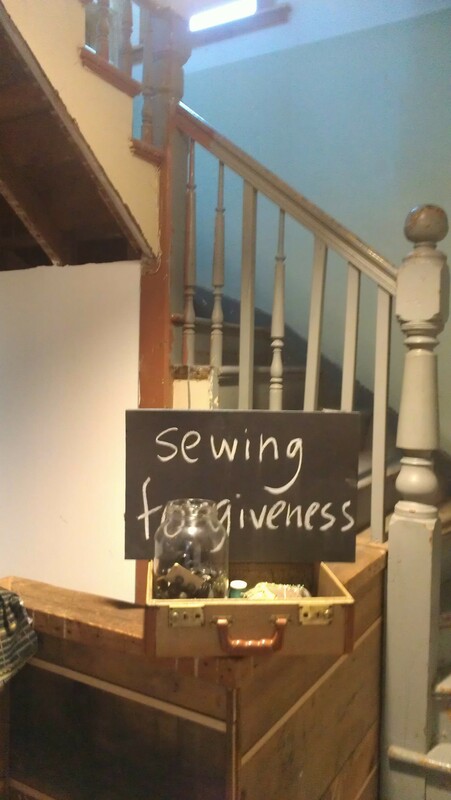 I was going to represent my work and the infancy of the Sewing Forgiveness piece, that was to be shown at the U of Buffalo Art Galleries, in the show titled Yoko Ono Fan Club, juried by friend and then curator, Julie Rozman. Most fellow northerners I know were escaping the record temperatures and ice and headed somewhere south. Of course, often feeling like I am swimming upstream, why would being in the coldest winter on record, send me to warmer climates too? I rented a car (Hey! It had a heated steering wheel!) and headed to Buffalo. I made plans and reservations for Buffalo a couple of days. 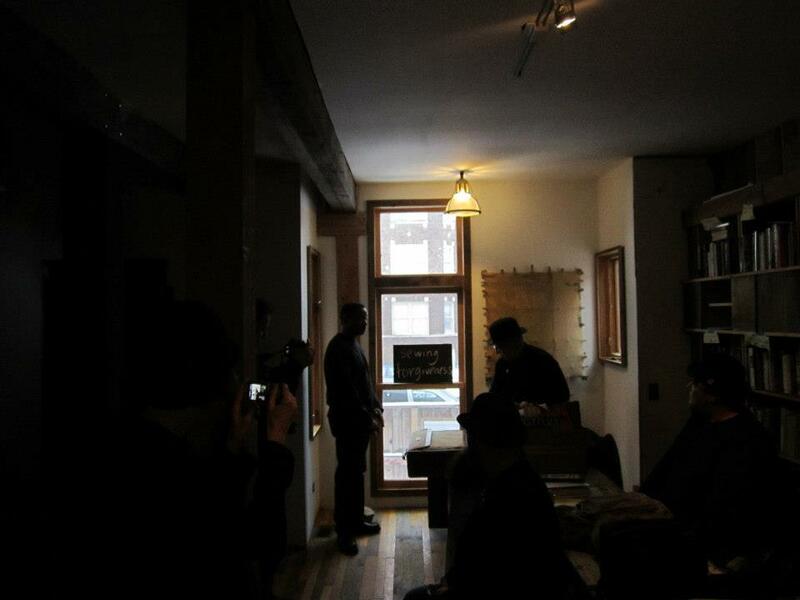 Then, a Fluxus friend and his wife offered their home in Toronto, since I wouldn’t be far. I committed to little, other than penciling off nearly a week away, and being with myself for most of it. Driving long distances in February may not have been very smart in hindsight, but I made it there with little sliding around, one speeding ticket (Indiana) and a reason that revealed itself mid route. I was driving, incapable of syncing my cell with the rental car’s system, trying to connect with dear humans while enroute (with no success) wind blowing, bitter cold all around. Eyes watering up for the feelings I was having about my own judgement. Wondering about the sanity of this trip and my ability to make other healthy choices in my life. You know, that crazy making place we go sometimes when we want to beat ourselves up with the hammer of self doubt. 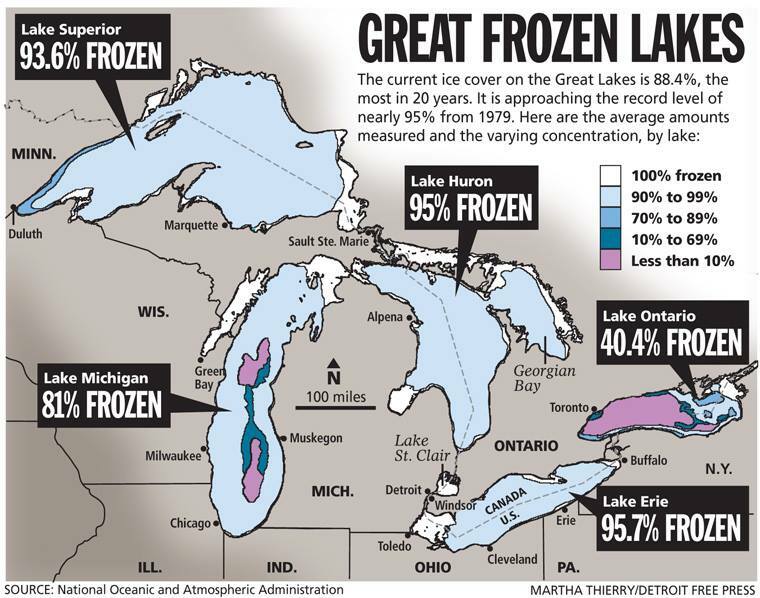 I would/could/should be near 4 of the 5 Great Lakes on this trip. I followed so much of the weather patterns last year, its effect on the region, the water, our lives. It was my way of embracing what was squarely in front me. 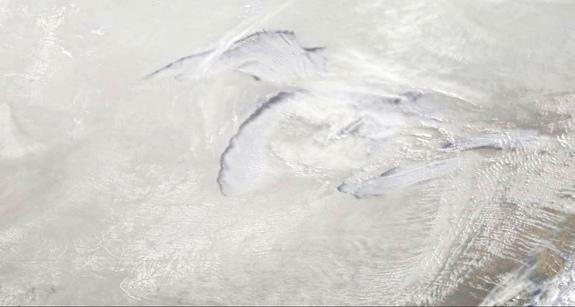 I came across the Yahoo image (above) from Mars, of the Great Lakes, sometime in early January of 2014. 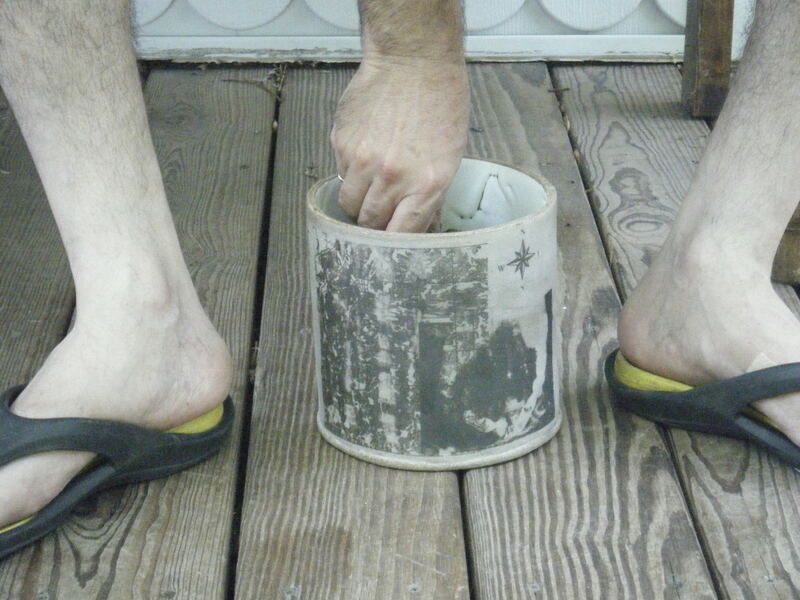 I immediately thought “I need to render that feeling in porcelain.” This road trip was weeks later. 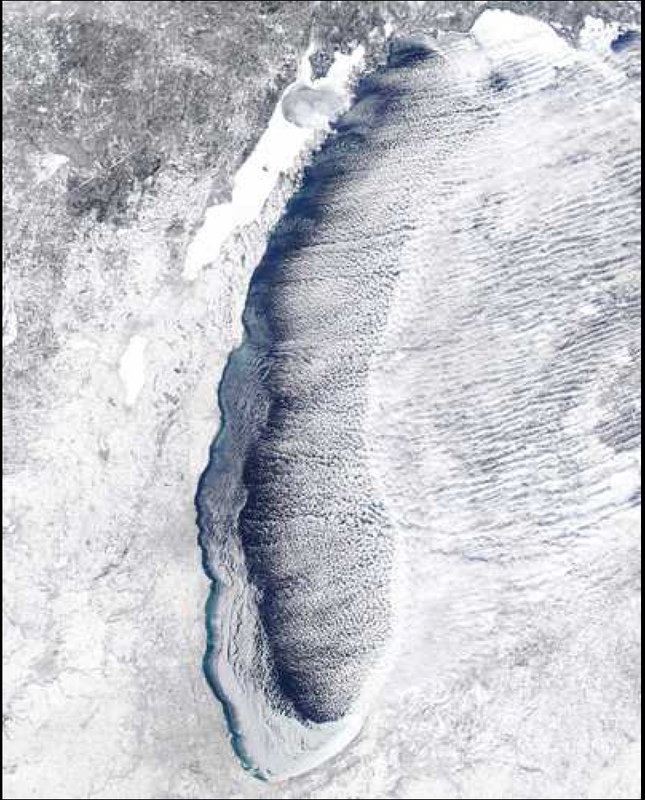 I knew that I must supplement the piece, presently only existing in my head, with melted snow and ice… from each Great Lake. Of course! Now the trip made sense. Purpose, along with folly, mixed in with some risk and discomfort, and add good humans. Now this is a road trip I could sink my cross country skis into! I began mapping in my head, and later that evening in Buffalo at the Holiday Inn, and felt at peace with the New York state winds, snow, and the sense of possibilities ahead. Another inspiring image of one of my favorite lakes. I knew paddleboarding at Montrose was a far off dream. 20% of the world’s fresh waters comes from these beauties. I can’t help but be in awe of them. and this comparison of 2014 and 2015 with more information here. 2014 and 2015 comparison with more info on the link above. I think of my father this morning. Today would have been his 81st birthday. He is with me every day but especially when I see a swallow in flight. Happy Birthday Dad. I still miss you. Watch for more on the final work, Polar Vortex. Thanks so much for reading. The art gesture called Potable is taking shape. Family members with whom I have spoke are excited about the project which I am humbled and excited about. 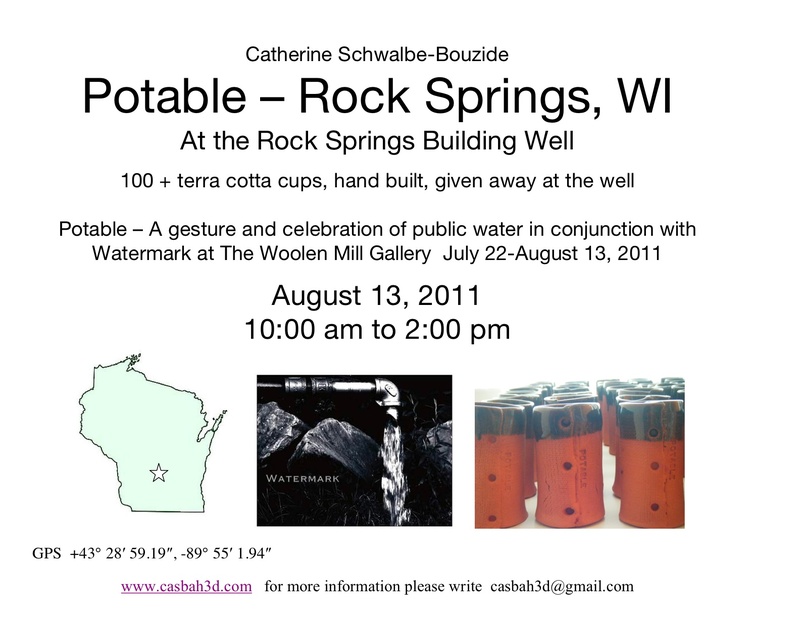 Participants will include my mother, Helen Schwalbe of Cedarburg, WI 79 yrs. My brother David’s daughter Sheri Paape and her daughter Addison – 1 year old of Port Washington, Wisconsin. My other brother Vince’s daughter Cristina and her daughter Lillie 2 yrs. old of Milwaukee. Possibly my sister Jacquie’s daughter Ruby 9 years old of Chicago, IL. 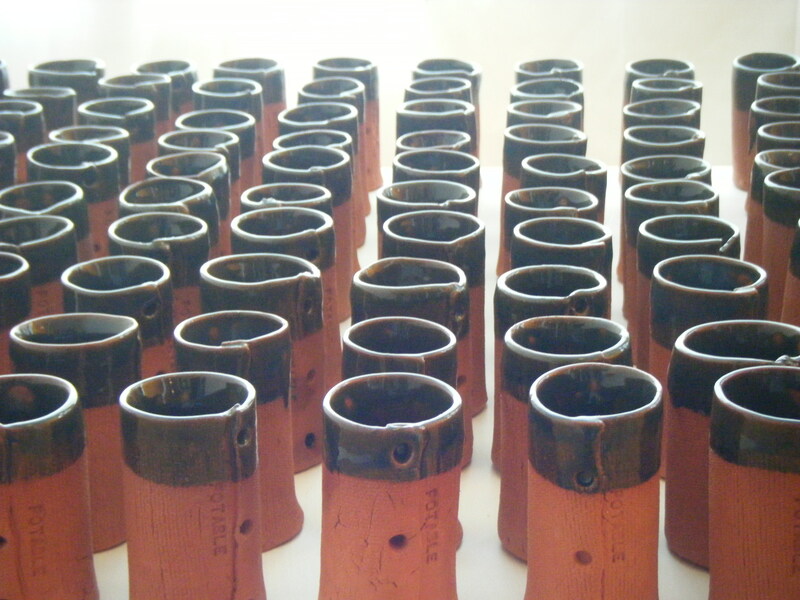 100 Terra Cotta Cups "Potable"
Some facts about water and why this well? Why now? At any given time, half of the world’s hospital beds are occupied by patients suffering from diseases associated with lack of access to safe drinking water, inadequate sanitation and poor hygiene. -2006 United Nations Human Development Report. 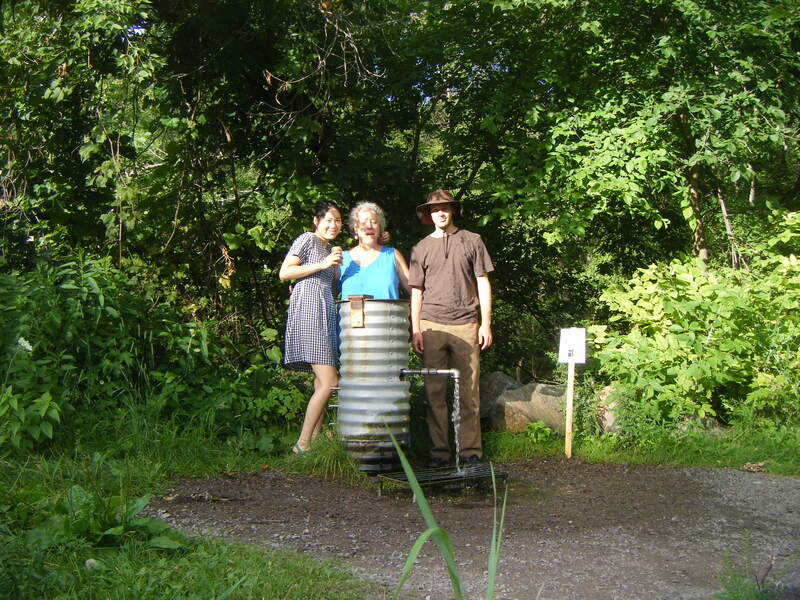 And finally, Paul and I visited the well on Saturday nite for the first time. Here are our own images and a video. Delightful. I was in Oregon, IL (actually housed in Stillman Valley, IL) on my 8th residency with The Fields Project. A community that celebrates their history of Loredo Taft and his artist colony here in the late 1800’s now celebrates its agriculture and culture connection. I can thank Anne Lueck Feldhaus for lending her application to me 8 yrs ago for my attempt at the visiting artist experience that has influenced my work in so many ways in as many years. Ned Bushnell and I after the last soil sample collected. I was housed with Ned and Lyrah Bushnell at a beautiful family farm, Walnut Creek Farms, in Stillman Valley, IL. 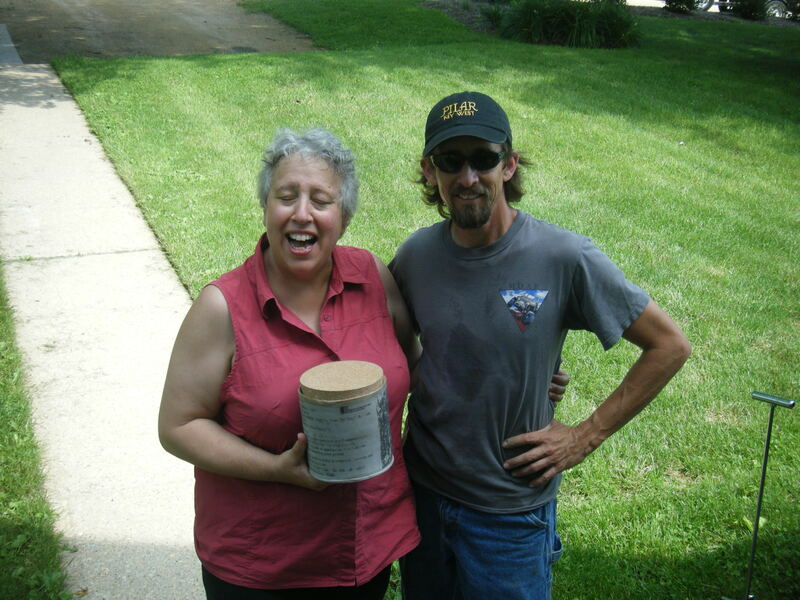 Walnut Creek Farms won the Governor’s Conservation Farm Family of the Year Award in 2004. Ned grows corn and soybeans with the no till method. This growing method of farming the commodities has been paying off with healthier soil and life in the field including worms. It was pure pleasure going into his field and talking soils with him. His enthusiasm for the process of soil conservation that decreases erosion, keeps unused plant matter in the fields replenishing what the growing has taken, disturbs the top soil less, and is forward thinking in terms of soil health as he works the soil and tilth of his father’s land. 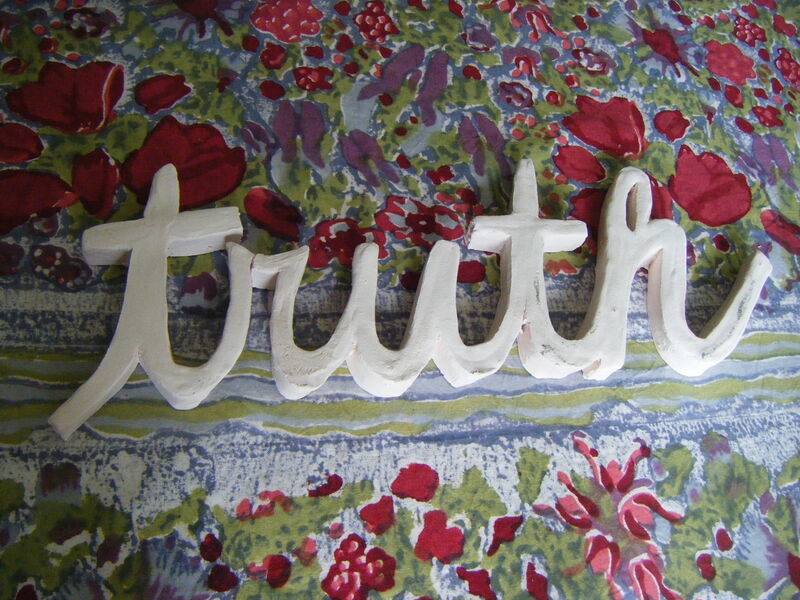 The Oregon Tilth Project, a soil and scent process that I have created, is why I am here. I am humbled by the local people I have come to know when they ask “WHAT are you doing this year?” I seem to have created a sense of curiosity and anticipation for how I might spend my time here and mirror the world that is agriculture in Northern Illinois. A bit of background: I read about Laura Parker’s work called “Taste of Place.” The artist collected soil from area farms, put the soil in a wine glass in a gallery setting, released the aroma with water, and the gallery goers ate produce from that farm and made the connection of soil and food through scent and flavor. Rarely does my inspiration for art come from other artist’s work. This is an exception. 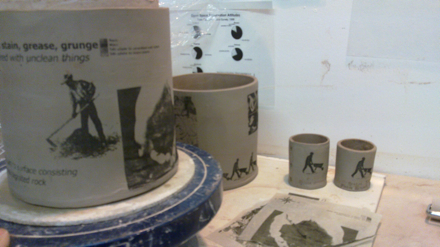 I have been working on stoneware jars for The Oregon Tilth Project since January. 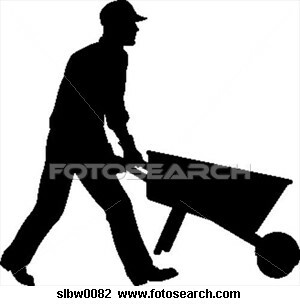 I collected images relating to farming, tilth, dirt, cultivation methods, and other agricultural images. I made samples, measurements, shot screens, made prints for the transfer onto clay, all in Tom Lucas’ class Printmaking on Clay. I spoke with someone from Oregon Tilth at the Family Farmed event this early spring for “permission” to use the name. A play on names that fits in quite nicely with the theme of the project. 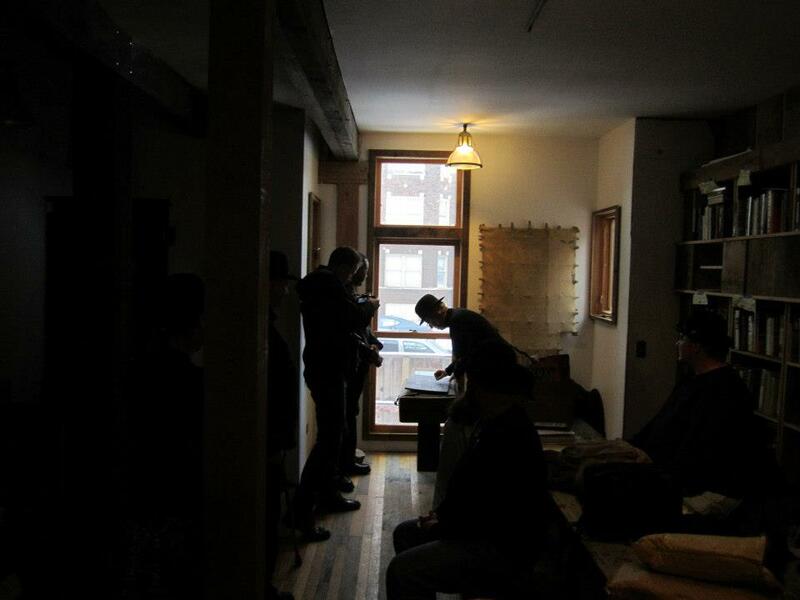 My experiences as a visiting artist with the Fields Project have been varied and wonderful. Each farm family has been patient, informative, and full of due pride in what they do and are thrilled to share information with the curious. 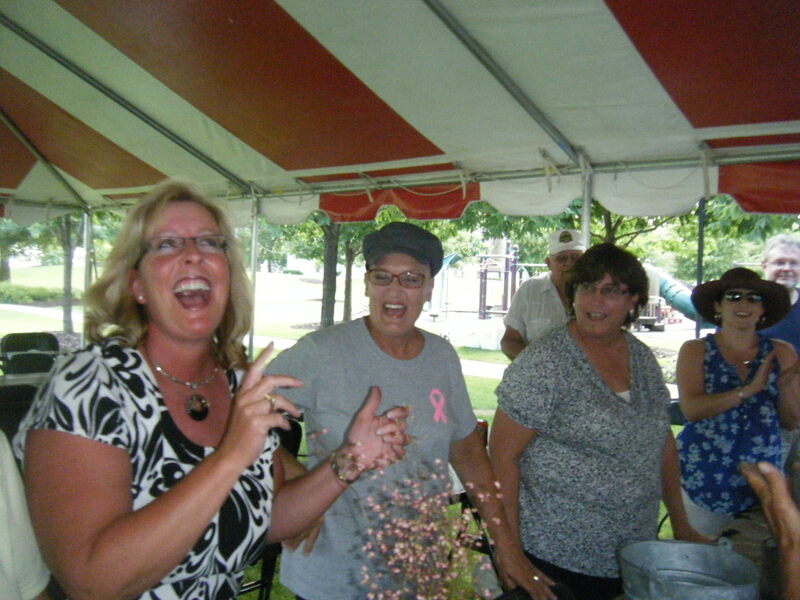 In no other community could I have pulled off such an event if I had not formed relationships with the host farmers over the years in the environs of Ogle County. Thanks to Paul Bouzide for still shots and fellow Fields Project Artist Sharron Box for the videos from the competition. I appreciate you both! There were 7 host families along with two other participating farms. Nine farm families in total. I spent the week as a visiting artist going to each farm, talking with the farmer about soil, process, crops raised, animals kept, and at times their philosophy and sentiments regarding contemporary agriculture practices. The statements made were as wonderfully varied as the farmers themselves. I collected a 3/4 gallon soil sample from the spot of the farmer’s choice, with and/or under the supervision of each farmer. It was a very wet week so all of the soil samples collected were heavy with rain water. ATV rides, donuts, event mapping, conservation methods, and so much more were discussed. I labeled each bag, documented them on each farm with the farmer’s name on an index card, and left the bags open so the soil might breath instead of mold. By Thursday nite I had collected soil from each farm and was prepared to transfer the soil into the corresponding jars with the help of my husband Paul (while I made myself scarce). Husband Paul making the samples as consistent as possible. Potluck Saturday, the traditional day of the gathering of host farmers, artists and sometimes spouses, and other interested and connected individuals who make the Fields Project happen, have a tremendous pot luck dinner. I asked the farmers to arrive a bit early to join me for the Oregon Tilth Project – aka “The Soil Smackdown. ” The event went much better than I ever dreamed! Several farmers arrived early (shocking I know) and we ended up having 100% participation. One farmer took a cup of her soil to her grandson’s little league game to study during the hour or two before the Smackdown. #9 Good way to block out the manure smell in the air. #8 Eating the dirt didn’t taste very good. #7 Once you recognize the smell, you can always find your way home when lost. #6 All the cool kids are doing it. #5 The nutrients in the soil are just so additcting. #4 Sniffing soil is easier than sniffing corn stalks wich tend to get lodged in your nose and draws negative attention to yourself. #2 The black residue under your nose is slimming and goes with anything you wear. And the number one reason to sniff dirt…. 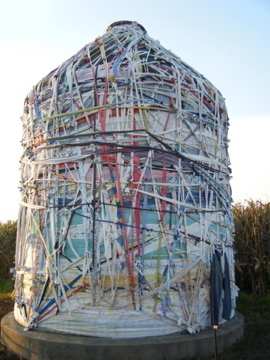 Because wrapping a bin takes too long!!!!! Gary and Judy Bocker perusing the soils. 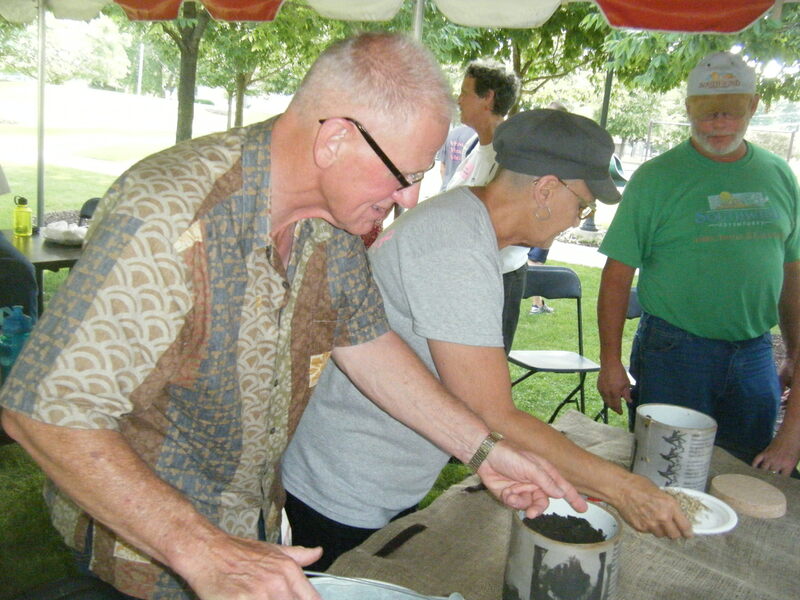 During the contest, A farming couple absolutely certain that they guessed their soil… in two different jars, and both were wrong! Each farmer asked to gently place their hand on the jar that they felt was theirs… with some good natured slapping going on as the competition progressed. 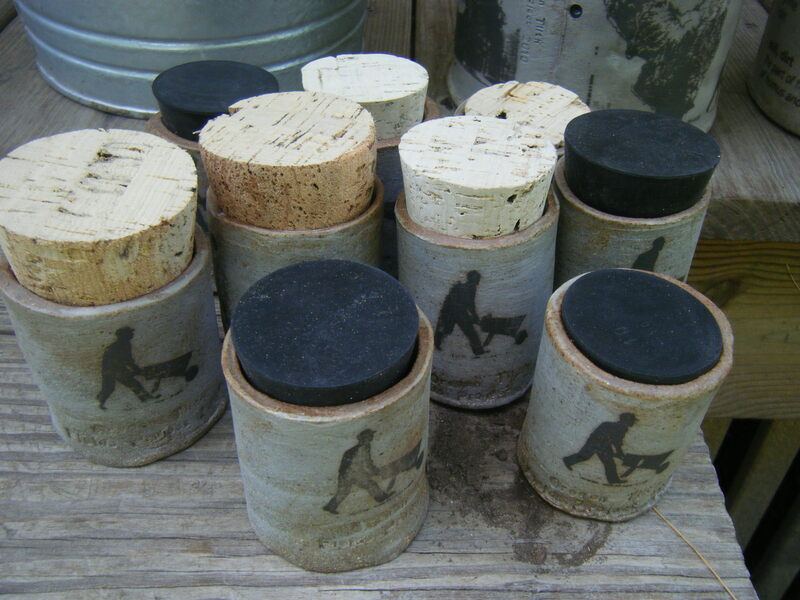 Farmers taking long sniffs, nose first, into the jars as pictured. A farmer’s wife so incredibly excited that she found her soil that she could not contain herself and then promptly called her husband who was working in the hay field, after she was correct in her soil choice. And the moment you have all been waiting for…. 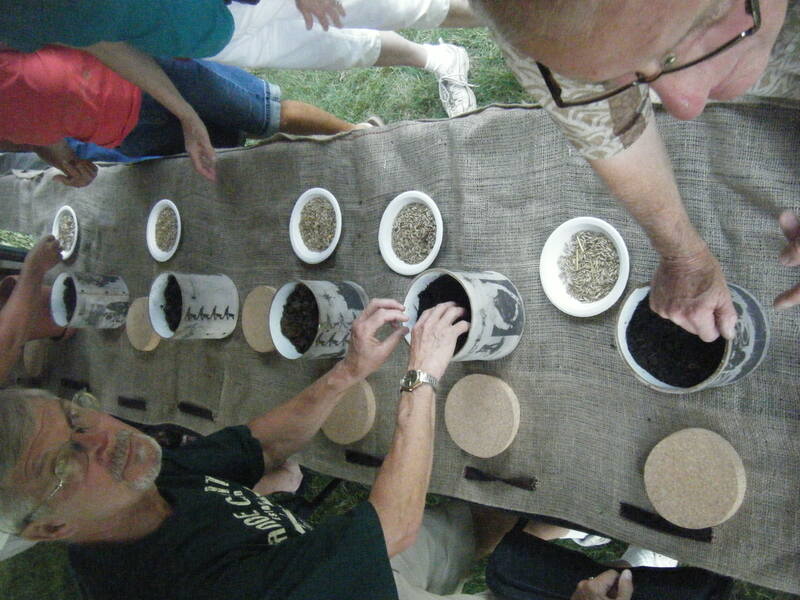 4 of 9 farmer participants could recognize the scent and texture of their soil. The rest were not pleased. We provided oats as an olfactory cleanser between soils. Here are some images and short videos from before and during the event. 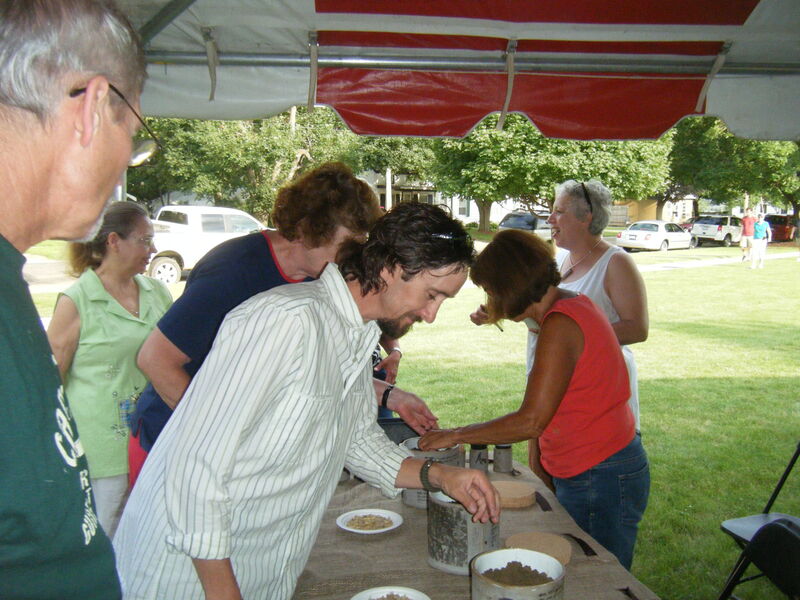 I also showed the jars at the Fields Project Art Festival the following day with many people appreciating the project and smelling and feeling the soil themselves to compare. Successful soil smellers are announced. 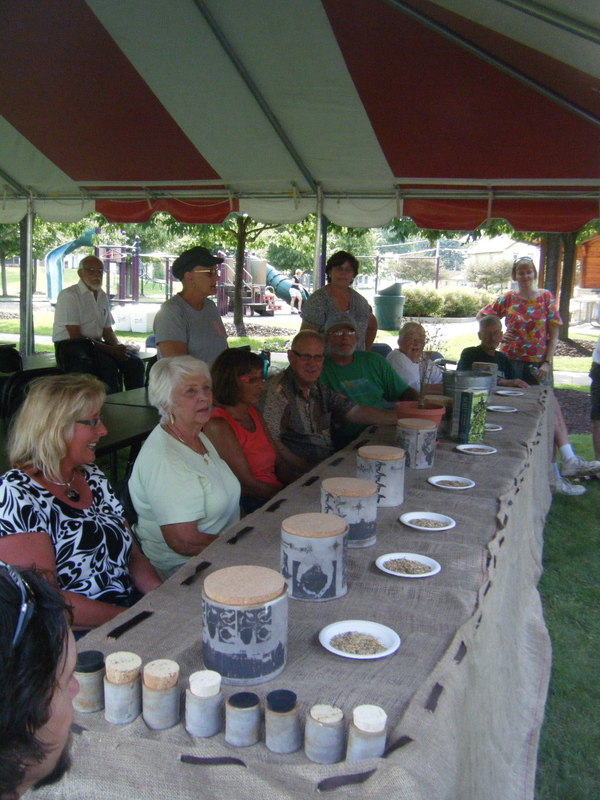 Congratulations to Joan Pfeiffer (far L) and Lyrah Bushnell (far R) 1 of 4 farmers able to recognize their soil. All participating farms got a mini for participating.